Are you confident that your muffler is performing properly whenever you turn your engine on? Your Honda’s muffler is responsible for releasing exhaust gases to help your engine take in fresh oxygen. It also helps to keep your vehicle quiet while on the road. In order for your Honda to maintain the legal noise level, as well as perform at its ultimate best, you have to make sure your muffler is working efficiently. Our Honda service center in Ridgeland, near Jackson, is highly experienced in muffler replacement and exhaust system maintenance that can help keep you and your vehicle on the road! What Does A Muffler Do? The muffler is designed to tune and minimize your engine’s sound output. As noise comes into the muffler, the sound waves bounce around against the baffles, creating opposing sound waves that cancel each other out. It also, helpfully might I add, directs the exhaust out of the vehicle. When is it Time for a New Muffler? The most noticeable sign of a bad muffler is the noise. When your muffler is failing, your vehicle will suddenly sound a lot louder than it did before. Be aware of any unusual rattling noises, which could be the sound of a muffler that’s become loose or broken. Another sign to look for is lower MPG. If you are noticing that you are visiting your local gas station more than you usually are, then that could be a sign of a muffler problem. Lastly, a critically dangerous sign is when a bad odor is emitting from your vehicle. When your muffler has a leak, the fumes that are supposed to get released outside the vehicle, end up getting stuck inside. Over time, this situation can be dangerous and needs to be addressed immediately! 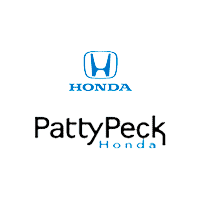 Patty Peck Honda has been serving the greater Jackson area for over 30 years and settles for nothing less than excellence. Our service center services all makes and models, and all drive-ups are welcome with our Express Service. With our convenient hours, drivers can visit our dealership as early as 7:30am Monday through Friday. We are located just about 20 minutes north of Jackson MS, so stop on by! If your vehicle is in need a new muffler or exhaust service, contact Patty Peck Honda by calling 601-957-3400 to schedule your appointment today!